1. 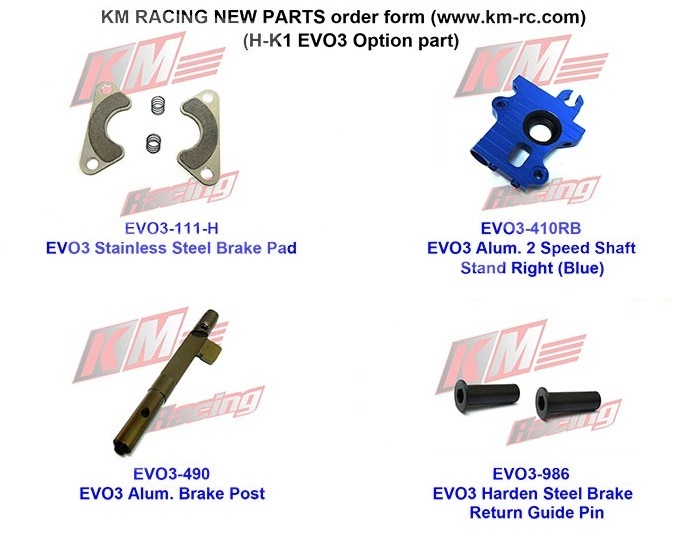 The four new parts are direct fit onto the current EVOII or MV version and have to be used together. 2. Improvement of durability due to new bigger design of brake pad. 3. Easy for maintenance and not necessary to use the loctite.